College recruiting spelled out in easy to understand terms. The college experience is in many cases four of the most important years in the life of our children in that it will shape their personal and professional direction. The high school prospect can enjoy a potentially strong position in the college recruiting process, and if exercised with careful planning and organization, they will increase their chances in achieving their top college choice. 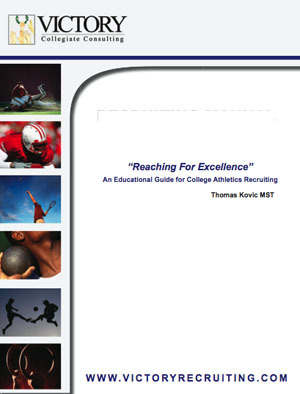 Reaching for Excellence is intended to provide readers with sound information that will assist families in navigating the college recruiting process with confidence. 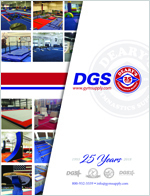 Tom Kovic is a former 19 year head coach of gymnastics at The University of Pennsylvania and director of Victory Collegiate Consulting, where he advises families and athletes in proactive preparation and effective execution of the college athletic recruiting process.